Star Wars: Battlefront includes a sprawling all-out team battle mode called Supremacy, which should resonate with those who enjoy Battlefield’s Conquest. 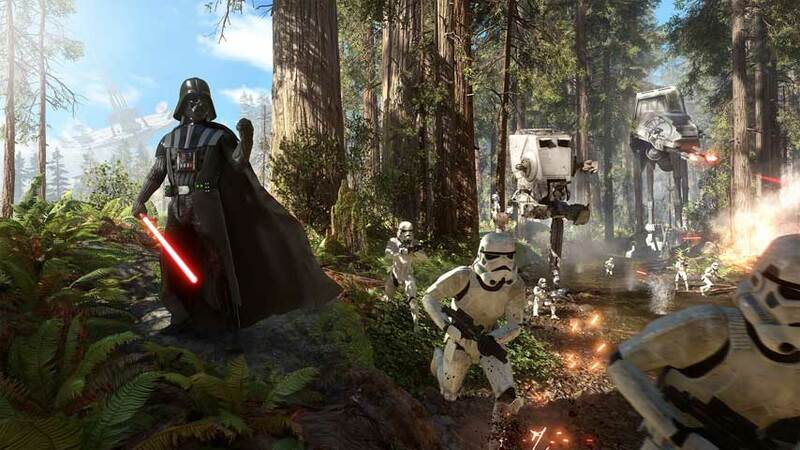 Battlefront has a range of gameplay modes but Supremacy sounds particularly hectic. It’s played on the biggest maps, and features five control zones which must be claimed in order. All characters and most vehicles feature, and matches last ten minutes. In a blog post on the game’s web site, Battlefront designer Dennis Brännvall said Supremacy is similar to Battlefield’s Conquest – but players are thrown right into the action instead of finding themselves spaced out. “Supremacy is a game mode that will excite fans of the Conquest mode from Battlefield. That said, we’ve made several tweaks to improve the formula,” he said. “You will always spawn close to the action when you enter Supremacy, so you’ll never feel isolated from the fight.